ACME's new Out-of-Sight Technology via iPhone or Android smartphones. We Build Rock Solid Spray Foam Equipment. From engineers to customer service, we know the spray foam industry better than anyone else so we can serve you better. All our equipment comes with worry free maintenance and 1 year warranty to keep your business running smooth. Need a little more or less output? Contact us and let us help you build the perfect machines for your business. ACME machinery is a High Quality manufacturer of Spray Foam and Polyurea ALL-In-One Proportioners, Drum Pumps, Generators, Compressors and Spray Guns. 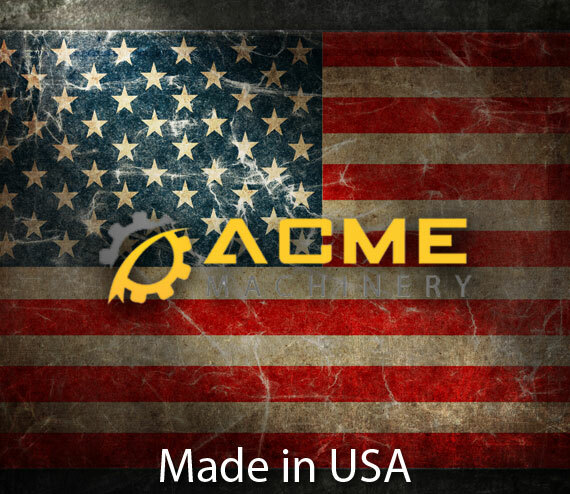 ACME is based in Norwalk Connecticut and all of its components are made here in the USA from the best quality materials available. ACME prides itself on offering high performance equipment that is built to last at very affordable pricing. The most attractive feature of the Coyotes series liquid heated technology is that is has proven to give the installer up to 10% more yield over electric firing rod technology as the heat is distributed more gently and uniformly as not to diminish the catalyst packages in various spray foams. The ACME Dynamite 11 Drum Pump is a 2:1 high output drum pump reaching a maximum output of 11 gallons per minute. This will result in your proportioner running smoother and more efficiently by not being starved for fluid. If you are looking for a small footprint high output generator, compressor, air dryer, and rig heater designed specifically for the spray foam industry look no further. The STORM is a high output, proven workhorse with the most reliable components made in the USA.